ATLANTA, GA (December 19, 2014) — Georgia Bio announced its 2015 Deals of the Year for pharmaceutical, biotechnology, healthcare IT and medical device companies in three categories – private financing, acquisitions and public/private collaboration – reflecting a broad range of activity. The annual Deal of the Year awards recognize transactions by life sciences companies in Georgia such as financings, partnering agreements and government grants that are significant to the state’s industry development. Deals of the Year are awarded to one or more companies or institutions for the most significant financial or commercial transactions closed from November 1, 2013-October 31, 2014. The recipients will receive their awards at the Georgia Bio Annual Awards Dinner January 22, 6 pm to 9 pm, at Atlanta’s Fox Theater. Now in its 17th year, the Georgia Bio annual awards dinner brings together industry leaders to advance the growth of the life sciences industry and foster strategic partnerships that can create a healthier world. Other leading companies, executives, researchers and dedicated individuals will receive Georgia Bio Awards at the dinner. Learn more and register at www.gabio.org/awards. The recipients are: Alimera Sciences, Clearside Biomedical, St. Jude Medical/CardioMEMS, Varian Medical Systems/Velocity Medical Solutions, Immucor, and AKESOgen/ VA Million Veteran Program. Alimera was successful in raising $122.5 million during 2014 for the continued commercialization of its lead product, ILUVIEN, in 17 countries in Europe as well as a planned commercial launch in the United States in 1Q 2015. Alimera secured $37.5 million in a private placement in February followed by a $35 million venture debt facility through Hercules Technology Growth Capital in April. In addition, Alimera recently announced a $50 million equity financing in November with Deerfield Management. Alimera received FDA approval of ILUVIEN on September 26, 2014. ILUVIEN is an intravitreal implant of fluocinolone acetonide and is the first Diabetic Macular Edema treatment to deliver 36 months of continuous, low-dose corticosteroid therapy with a single injection. DME is the major cause of vision loss in people with diabetic retinopathy. People with diabetes have a 10 percent risk of developing the condition during their lifetime and an estimated 21 million people around the globe have DME. This number will only continue to grow as the number of people with type 2 diabetes is rapidly increasing in every country. Current estimates are that there will be 1.5 times the number of diabetic patients in 20 years’ time. Clearside Biomedical, Inc., in September 2014, announced the closing of a $16 million Series B financing. The financing included new investor RusnanoMedInvest (RMI) and existing investors Hatteras Venture Partners, Santen Pharmaceuticals Co. Ltd., Mountain Group Capital and Georgia Research Alliance Venture Fund. Headquartered in Alpharetta, GA, Clearside Biomedical is a clinical-stage biopharmaceutical company developing first-in-class drug therapies to treat chronic, blinding diseases of the eye. Clearside’s product candidates focus on diseases affecting the retina and the choroid, especially diseases associated with macular edema, and are injected non-surgically into the suprachoroidal space with Clearside’s proprietary microinjector. CardioMEMS, Inc., led by Founder and CEO, Jay Yadav, MD, developed the FDA approved CardioMEMS HF System which uses a miniaturized, wireless sensor to directly measure pulmonary artery pressure and transmit the information to a database remotely. Non-invasive, real-time monitoring of these pressures helps nurses and physicians monitor and intervene at the earliest stages of heart failure, so that the likelihood of hospitalization is reduced. The CardioMEMS HF System can help healthcare providers more effectively manage medications and other forms of treatment before heart failure symptoms escalate. Clinical testing demonstrated that use of the device resulted in a decrease of hospitalization rates among heart failure patients at 6 months and 15 months by 28 percent and 37 percent, respectively. Varian Medical Systems, a leading supplier of equipment and software for treating cancer with radiotherapy, radiosurgery, brachytherapy, and proton therapy, announced in April 2014 that Varian had acquired specific assets of Velocity Medical Solutions, LLC, an Atlanta-based developer of specialized software for cancer clinics. The acquisition included software designed to access and aggregate unstructured treatment and imaging data from diverse systems to show a comprehensive view of a cancer patient’s diagnostic imaging and treatment history, regardless of where they were treated or what technology was used. By organizing patient data and making it available in one place, the Velocity software was designed to help clinicians make more informed treatment decisions. Varian continues to develop the Velocity software platform with the Velocity team in Atlanta. The Velocity organization was founded by leading clinicians who developed innovative and powerful tools that transform unstructured data into useful clinical knowledge. The Velocity software, which at that point was already in use at over 200 cancer treatment centers worldwide, enables clinicians to easily collect, integrate, and share data from CT, PET, and MR images and diverse treatment systems for close collaboration with referring physicians and others on the care team. To learn more, visit https://www.varian.com/velocity. Immucor, Inc., led by CEO William A. Hawkins III, is a global leader in transfusion and transplantation diagnostics. Headquartered in Norcross, GA, the Company completed six transactions during 2014 focused on enhancing its product offering and expanding its geographic footprint. During May, Immucor acquired Organ-i, Inc., a privately-held company focused on developing non-invasive tests to monitor and predict organ health for transplant recipients. In October, Immucor announced a collaboration with privately held Sirona Genomics, Inc., which was spun out of the Stanford Genome Technology Center at Stanford University. As part of the collaboration Immucor will provide development funding to support the commercialization of Sirona’s human leukocyte antigen (HLA) typing offering using next generation sequencing. Immucor retains an exclusive option to acquire the company. Both transactions strengthen Immucor’s transplantation diagnostics portfolio. Also during October, Immucor acquired privately held Sentilus, Inc., which was spun out of Duke University. This acquisition strengthens Immucor’s transfusion diagnostics portfolio with a novel, inkjet-printed antibody microarray-based technology. Additionally during 2014, Immucor also acquired its transplantation diagnostics distributors in Italy, the United Kingdom and India. Immucor’s mission is to create a world where anyone, anywhere in need of blood or an organ gets the right blood or organ that is safe, accessible and affordable. To learn more, visit www.immucor.com. The US Department of Veterans Affairs Million Veteran Program is the largest genetic initiative ever undertaken in the US and its visionary genomics and genetics approach will provide new insights about how genes affect health. The goal is to improve healthcare for veterans by understanding the genetic basis of many common conditions. The data will ultimately be beneficial to the healthcare of all veterans and of the wider community. We are delighted to support the VA for this unique endeavor as we provide genetic data of the highest quality to the VA. AKESOgen is delivering over 800,000 genetic datapoints to the VA for each of the patients it provides analysis making up many terabytes of information each year. AKESOgen provides genomics services for the clinical applications and also for the research and development market, including biobanking, DNA/RNA extraction, and genetic technologies. Founded in 2010, our company services to the clinical, pharmaceutical, biotechnology, academic, and government sectors. AKESOgen received $7.5 M for year one (out of a 5 year award). To learn more, visit www.akesogen.com. For a list of past Georgia Bio Award recipients, click here. Georgia Bio (www.gabio.org) is the private, non-profit association whose members include pharmaceutical, biotechnology and medical device companies, medical centers, universities and research institutes, government groups and other business organizations involved in the development of life sciences related products and services. Note to Editors: Credentialed members of the news media are invited to attend. Registration is complimentary. Please contact Maria Thacker (404-920-2042; maria.thacker@gabio.org). Mercer Island, WA & Norcross, GA – November 14, 2014 – Translational Software, Inc., a leader in integrating genetic information into mainstream clinical care, has announced a strategic partnership with AKESOgen, Inc., an integrated genomics and pharmacogenetics company, to provide translational interpretation and analysis of genotyping. Based near Atlanta, GA, AKESOgen is a genomics contract research organization that services the academic, pharmaceutical, biotechnology, clinical testing and government sectors. The collaboration provides AKESOgen with the capabilities of Translational Software’s powerful Genomic Insight Solution (GIS). GIS transforms complex molecular data into information clinicians can easily interpret and understand with an advanced, cloud-based solution. It harnesses the company’s proprietary knowledge base-developed from only the most current and relevant clinical evidence-coupled with advanced laboratory molecular data. AKESOgen is an integrated genomics and genetics company providing high-throughput, biomarker profiling, cytogenetics and genomics analysis utilizing different types of markers (e.g. DNA, mRNA, miRNA, methylation) for the clinical and R&D market to CLIA/GLP standards. The company’s main focus is oncology and personalized medicine. Based in Atlanta, GA, AKESOgen is a genomics contract research organization that services the academic, pharmaceutical, biotechnology, and government sectors for research use, diagnostic clinical testing and clinical trials services. AKESOgen provides expertise in biobanking, assay development and all ancillary services in a purpose-built facility. For more information, visit www.akesogen.com. 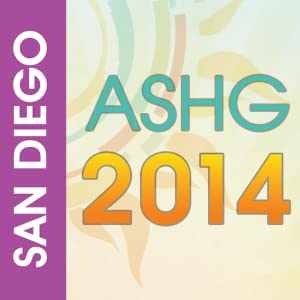 AKESOgen scientists attended the American Society of Human Genetics meeting in San Diego October 18th-22nd 2014. Please email info@akesogen.com or call +1(770)542-0890 if you would like to follow up with delegate from the meeting. 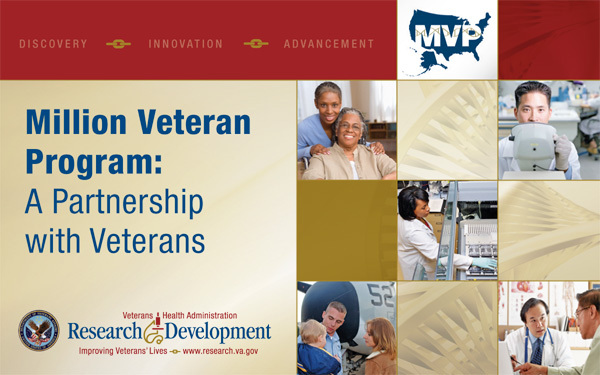 Norcross, GA, USA – September 30th, 2014 – AKESOgen announced today that it has been awarded a $7.5M contract by the U.S. Department of Veterans Affairs (VA) for genotyping samples from U.S. veterans as part of the Million Veteran Program (MVP). 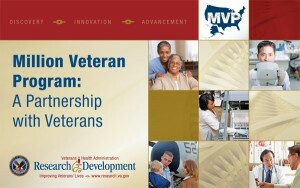 This award covers the genotyping of 109,000 veterans in the second year of a five year contract. Gee HY, Ashraf S, Wan X, Vega-Warner V, Esteve-Rudd J, Lovric S, Fang H, Hurd TW, Sadowski CE, Allen SJ, Otto EA, Korkmaz E, Washburn J, Levy S, Williams DS, Bakkaloglu SA, Zolotnitskaya A, Ozaltin F, Zhou W, Hildebrandt F.
Am J Hum Genet. 2014 Jun 5;94(6):884-90. doi: 10.1016/j.ajhg.2014.04.010. Epub 2014 May 8. Kassel, Germany and Norcross, GA, USA – May 21, 2014 – Targos Molecular Pathology GmbH, a leader in clinical biomarker services and AKESOgen Inc., a leading US genomics and personalized medicine services company today announced a global commercial partnership to offer the pharmaceutical and biotech industry a wide ranging package of traditional pathology and new cutting edge molecular biomarker solutions that provides clients a wide ranging menu of biomarker offerings including IHC, FISH, molecular and cytogenomic options..
“We were attracted to AKESOgen because of their outstanding quality and service orientated approach as well as their know how in molecular genetic technologies. The unique partnership with AKESOgen will allow us to expand our comprehensive suite of services that have successfully supported the pharma market for nine years. Through this collaboration, we will be able to better serve all of our customers in the US, with the unmatched quality and value-added services that we have established over the past nine years.” said Dr. Thomas Henkel, CEO of Targos. “Targos is an outstanding leader in Europe in molecular pathology services and teaching. We are delighted with this partnership and to support the high quality services in pathology provided by Targos as well as enable a footprint to operate out of the US.” commented Robert Boisjoli, CEO of AKESOgen. The partnership will harness the combined strengths of both companies: AKESOgen will provide its 14,000 sq ft site and facilities near Atlanta, GA, USA as well as world class genetic and molecular expertise which will complement the undoubted quality and strengths of Targos’s companion diagnostics, pathology and biomarker capabilities. Targos core service business is to provide highly standardized development and application of clinical biomarkers for the international pharmaceutical and diagnostic industry. The company has supported more than 100 international clinical trials since 1999, which have led to the successful approval of several targeted therapies and IVDs for our customers. The expert team of on-site clinical pathologists operates in a professional environment of project management, logistics, data and quality management. Targos also supports the introduction of new Companion Diagnostic assays into the market. AKESOgen is a CLIA compliant integrated genomics and pharmacogenetics company providing biorepository services and high-throughput, biomarker profiling and genomics analysis utilizing different types of markers (e.g. DNA, mRNA, miRNA, methylation) for the clinical and R&D market. A private company based in Atlanta, GA, AKESOgen is a genomics contract research organization that services the academic, pharmaceutical, biotechnology, clinical testing and government sectors. 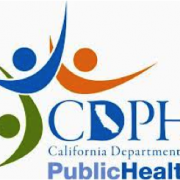 The company supports a number of world class organizations including the CDC, the US Department of Veteran’s Affairs, the American Cancer Society and Kaiser Permanente. AKESOgen’s flagship clinical test is a clinical cytogenomics array for a wide ranging spectrum of cancers. AKESOgen also provides expertise in biobanking, assay development and all ancillary services in a purpose-built facility. For more information, visit www.akesogen.com.